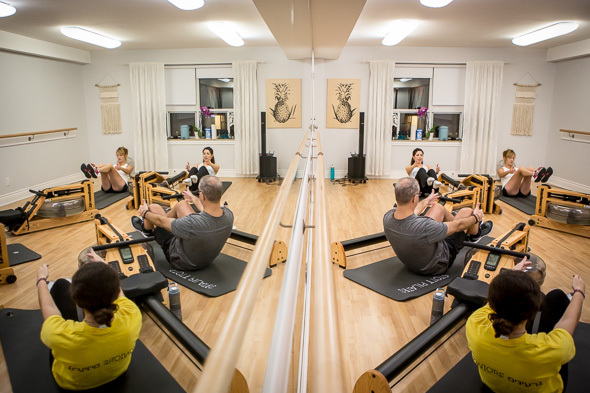 Nucleo Fitness is a boutique studio that combines two of my favourites workouts, HIIT and Pilates. The HIIT workout comes in the form of rowing, and its signature class, Indo-Row. The rowers aren't the old style of rowers we're used to. They're the unique WaterFlywheel, a cylinder of water with spinning paddle which mimics the resistance of a paddle against water. 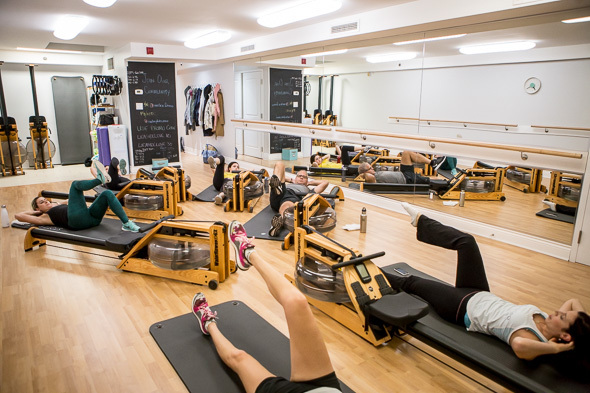 The small but mighty midtown studio has high energy instructors that transition between a Pilates mat workout into intense rowing. 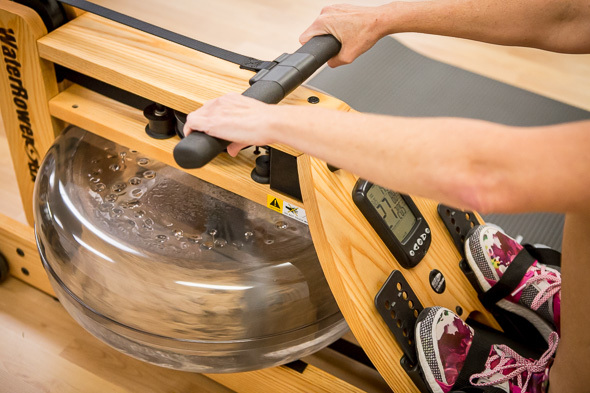 The rowing intervals are set up differently depending on the instructor, so you're either racing against yourself to a target time, or racing against each other in a relay race. 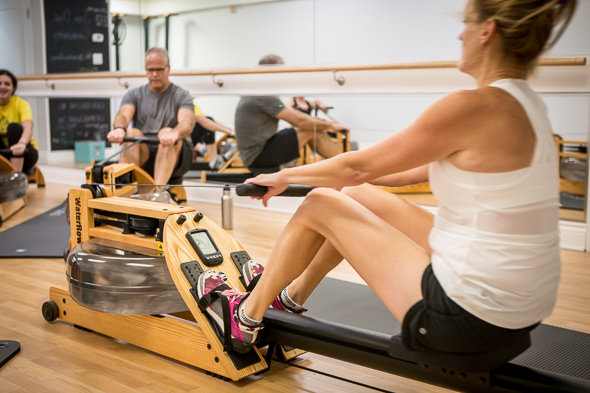 Rowing and Pilates are both designed to strengthen your core. Done with proper form, the combined exercises are a killer ab workout. 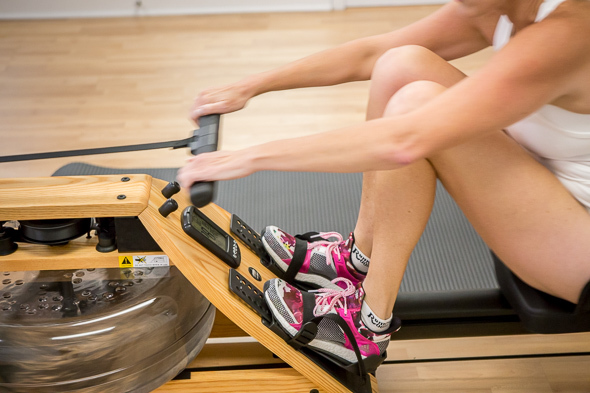 Rowing works your larger muscles such as back and legs, and Pilates works the smaller muscles you don't often see. Combined together, the workout provides a balanced approached to strengthening and muscle development. Perhaps it's the repetitive movement, or the splashing of the water, but rowing is oddly therapeutic. The best advice I can give is to leave your expectations of the class at the door. A class that combines two seemingly different workouts made me skeptical at first. But the class and the instructors exceeded my expectations, and I have since gone back for more. The workout is effective and fun and the instructors haven't let me down with their playlist. Another important rule, hydrate properly before class as you will sweat profusely. And remember to control your row, don't let the handles control you. The most important thing a newbie can learn is to use the power of your legs. The legs are a very large muscle, and that produces the power you'll need to conquer an 800-mile run in three minutes. The small class size allows the instructor to focus on form. I liked that I could talk to them and the other participants while rowing and sweating through Pilates without feeling constrained to my mat. 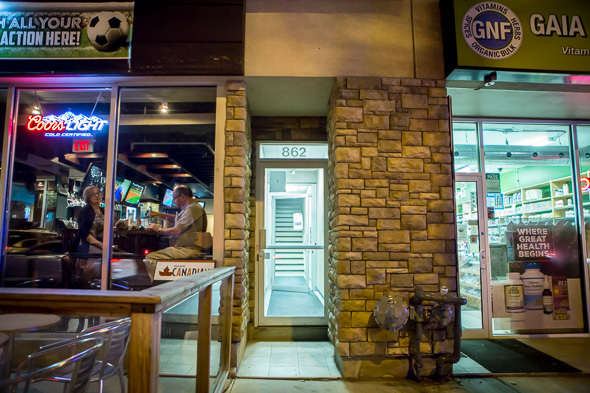 It's a friendly environment that encourages banter, and commentary on the music choices.